Can online reputation be managed? Reputation management goes by a variety of names — online reputation management (ORM), internet reputation management, rep management, brand perception. Whatever you call it, the goal is to shape public perception about a person or business, though you may be surprised to learn just how little control brands and individuals actually have over their reputations. How to manage a reputation - how much control do you really have? This article will delve into the how's and why's of reputation management, as well as what you can do to retain or improve your own reputation. We’ll first provide a more detailed explanation of reputation management, which will demonstrate just how important it is. Second, we’ll demonstrate the amount of control you have over your reputation. Finally, we’ll float the question, can reputation be managed? If you want to understand reputation management, this article is your essential primer. If your company’s reputation is at risk, then grasping the basics of reputation management is critical for your business’s ongoing survival. If you want to shape your own personal reputation, then knowing what’s at stake, who’s in control and how to influence people’s perceptions starts with the same foundational question: What is reputation management? Reputation management is the effort to influence what and how people think of a brand or person. A vast amount of communication happens online. We meet friends, we solve disagreements, we hear about businesses, and we read the news. We even spend our leisure time online. 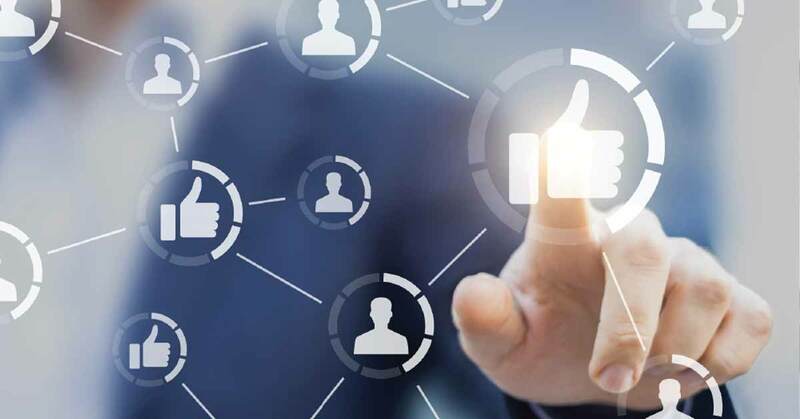 It’s inevitable, therefore, that reputation management happens mostly in the online space; in fact, the terms reputation management and online reputation management are now virtually synonymous. So reputation management happens online because that's where the majority of our communication happens. Since people choose to interact on online platforms, reputation management companies use social media and SEO tactics to achieve their goals. Reputation management lives within the wide world of sales and marketing, and though it can be described as a “tactic,” it’s hardly negligible. In reality, reputation management lives at the heart of sales and marketing. Why? Because what people think of a brand influences everything about that brand. With a good reputation management plan, you can clear the way for positive messages to have the maximum effect. When people already believe in your company's mission your content will reach more of its readers. We’re not overstating the case when we write that reputation management is essential for a company’s survival. Enron vanished in the wake of corruption and the ensuing public relations backlash. Other giants like BP, Wells Fargo and United Airlines have been able to withstand reputation blowups, but not without serious costs. These are all examples of how the emergence of online communication platforms has made reputation more delicate. Whereas before people who had a bad experience with a business may have only told a few close friends, now they have the ability to publish their views online, where they may be viewed by thousands, even millions of people. These days, a single badly handled situation can plunge a company into bankruptcy. As you may remember, in the fall of 2017, officers forcibly removed a passenger from United Airlines flight 3411 from Chicago to Louisville. Following the massive negative public exposure, investors watched in horror as United Airlines hemorrhaged nearly a billion dollars in market cap value. United Airlines is still flying the skies, but not without a permanently marred reputation. Other companies — smaller ones, or less capably equipped ones — would simply crash and burn in the wake of this kind of reputation disaster. We've mostly focused on reputation management as it applies to businesses thus far, but it’s important for individuals too. It’s an area of interest for the billionaire hedge fund manager attempting to cover up an extramarital dalliance gone public. It’s critical for the singer who accidentally made a big real estate photography mistake even bigger. Since personalities often are businesses, it makes sense that they would benefit from reputation management. Most people in the modern world cannot live their lives in anonymity. If people know your name, they'll Google your name. It’s just what people do. Just ask Kylie Jenner's former best friend, Jordyn Woods. Her reputation took a nose dive in February after she was accused of having an affair with Khloe Kardashian's boyfriend Tristan Thompson. There was nothing good to be found online about the social media influencer after the accusation, and she faced a relentless stream of memes, negative press, and in-person bullying. Whether the whole thing was true or just another Kardashian drama publicity stunt, Woods' reputation will likely suffer the hit for a long time. Those of us without an outsize personality or billions to our name can afford to manage our reputations ourselves. A flattering photo on Facebook, an Instagram highlights reel, and a resume on LinkedIn that only slightly exaggerates our finer points, and we’re good to go. Individuals with more at stake — like a money-making personality or billions to their name — may need to bring in the big guns. 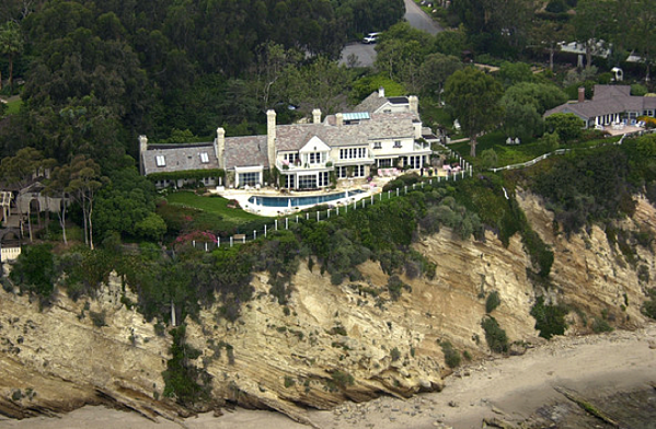 A Malibu beach home that touched off one of the most famous reputation management scandals in modern history. As we’ve pointed out, if your reputation is down the tubes, so is your business. In fact, 87% of customers will reverse a purchase decision after viewing negative content about a brand or product online. It’s no surprise, then, that businesses shell out tens of thousands of dollars a month in an effort to preserve or improve their reputations. If you knew you could prevent a potentially devastating crisis, wouldn’t you pull out the credit card? As search engines have all but replaced word-of-mouth referrals, online reputation management has become an industry that purports to exercise massive sway over public opinion. A company’s reputation is their Yelp rating, New York Times takedown or viral Colbert burn. What appears at the top of the search results is what people see, believe and respond to. Like nearly everything in life, reputation management has an ethical dark side. You can’t simply decide that reputation management is inherently evil or good. It’s used for both. "There is an entire industry dedicated to making bad things on the Internet quietly disappear and making promotional, good things about a person or a company look totally legitimate, even when they're just PR spin." And, yes, reputation management does have its abusers, just as there are those who misuse the natural beauty of a stick by beating someone on the head with it. Some thieving types will hire reputation management practitioners to cast aspersions on a company so the masterminds can short its stocks and make out like actual bandits. Others will take a flamethrower to a CEO’s reputation, again benefiting from the subsequent drop in stock prices. Thankfully, the bulk of reputation management is not bad. Reputation management exists, in part, because people are more likely to believe, share and spread negative news than they are positive news. That's why a single misstep can snowball to have lasting effects on your reputation. Reputations need tending. Yet many businesses lack the time, expertise or knowledge to touch up their Wikipedia entry, polish up the About Us page or solicit a few more positive reviews on GlassDoor. A local mom and pop coffee shop may need professional insight into improving their Yelp ratings. An online retailer may want help sprucing up their Amazon product descriptions and ratings. There is no one-size fits all approach to reputation management. There are, however, a number of legitimate, ethical, and effective tools to navigate the process. Businesses can take advantage of SEO, technical optimization, social response tools, reputation monitoring, link portfolio management and a bevy of other methods to manage their online reputations. In sum, reputation management has to do with influencing what people see and how they think about you or your brand. In today’s plugged-in world, reputation management happens in the digital sphere and is a core component of a brand’s marketing strategy — in fact it’s critical to their overall survival. As reputation management grows in importance for both individuals and businesses, we can acknowledge its unethical manifestations while realizing just how effective it can be when used properly. Who's in control of your reputation? Perhaps the most salient reputation management question to answer is Who’s in control of the reputation? This is the single biggest sticking point in understanding reputation management, and it’s a huge reason why reputation mis-management is so rampant. Misunderstanding this crucial first point leads to a multitude of sins, false steps, confusion and outright blunders. Let’s answer the question as clearly possible: A brand or individual has very limited control over their reputation. Although there is no scientific way to analyze what portion of your reputation is under your control, here's a helpful way to visualize it. 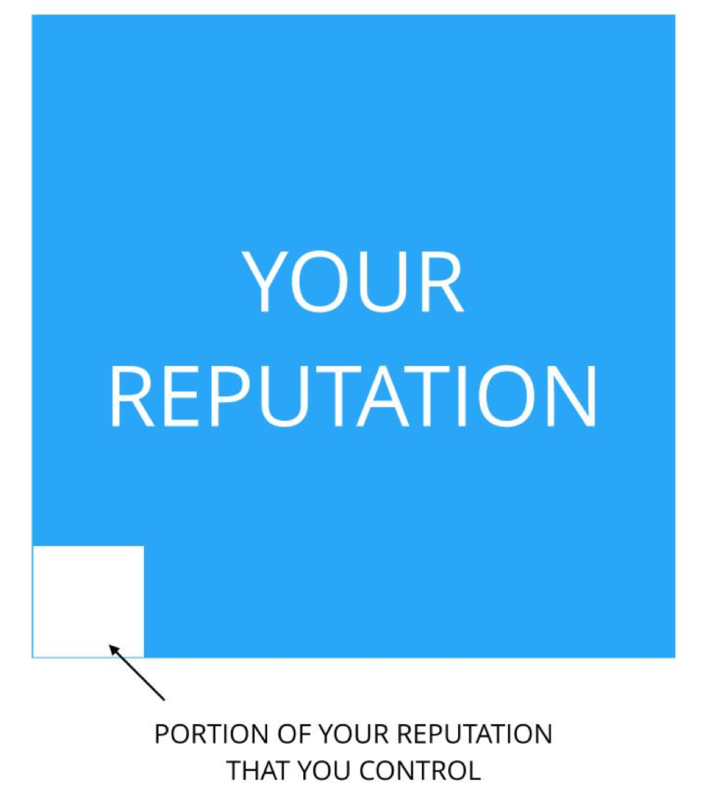 If your reputation is the large blue box below, the portion that you control is the white box in the lower left—and it’s very small. Reputation, as it turns out, is largely out of our hands. At the risk of being redundant, here’s the definition of reputation management once more: Reputation management is the effort to influence what and how people think of a brand or person. At its best, reputation management is only an effort. And note that reputation management attempts to influence how people think. Shaping someone’s thinking? You can probably come up with a whole lot of reasons why that is A) not a good idea, B) fraught with obstacles and C) nearly hopelessly ineffective. And that’s our point. Reputation management deals in the murky waters of psychology, where cognitive biases, individual perceptions and past experiences wield enormous power. What do you control about your reputation? In terms of your business’s reputation, you control your business’s actions. And it’s possible that even on that point, your control is limited. Running a business is obviously a large task. Businesses have a lot of moving parts. Many businesses have a lot of employees, each of whom has some degree of autonomy in how they function, what they say and how they live their personal lives. Though you control some things in running a business, you don’t control everything. You can’t. And that leaves your reputation in the hands (more precisely, the minds) of those who perceive your company. The actions that you undertake as a business leader do shape reputation in some way. If, for example, you decide to embezzle millions of dollars, put cyanide in your donuts or openly support weapons smugglers, these actions will have a marked impact on your reputation. What don’t you control about your reputation? Almost everything. Even if your actions are cautious, circumspect and limited in their scope of impact, your reputation takes on a life of its own in the public mind. There's no controlling it. To make this point, let’s use a simple example. Let’s say you run a spaghetti restaurant. Quality, sanitation, employee training, recipes, ambience — you’ve worked hard to make sure that everything is perfect, that your sauce is well-seasoned and that your spaghetti is piping hot when served. 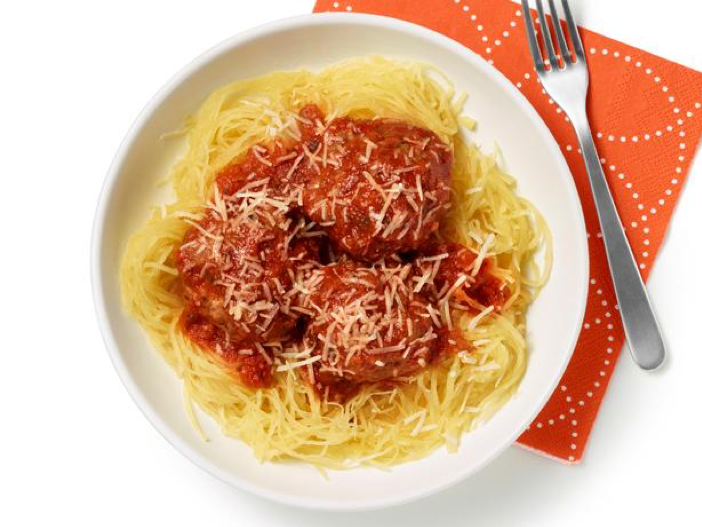 One day, you serve a customer your tastiest spaghetti dish at the normal serving temperature of 113 degrees. The customer, unfortunately, was expecting their plate of noodles to be 119 degrees. Early in life, they had a horrible experience with colder-than-expected pasta, a memory that is now mixed up with being cut off from their family, experiencing poverty and losing their hair. The customer rises up from the table in a rage, accusing you of being the worst spaghetti restaurant in the entire Western Hemisphere, spitting their spaghetti back into the dish, and causing all the other restaurant patrons to gaze at their own noodles with horror and revulsion. Instantly, your restaurant’s reputation is suspect. Even if the other customers enjoyed the dish, their experience at the restaurant is forever tainted by the customer with some unfortunate life experiences and maladjusted expectations. Your reputation may suffer. Yes, it’s an extreme example, but the point is you had no idea, let alone control, over the individual with the troubled family history and androgenetic alopecia. Take another example —;the explosion of an engine on a Southwest aircraft. The incident tragically resulted in the death of one passenger. Upon investigation, it was found that the faulty engine was compromised due to metal fatigue, an issue that was beyond the scope of even the most rigorous routine inspections. 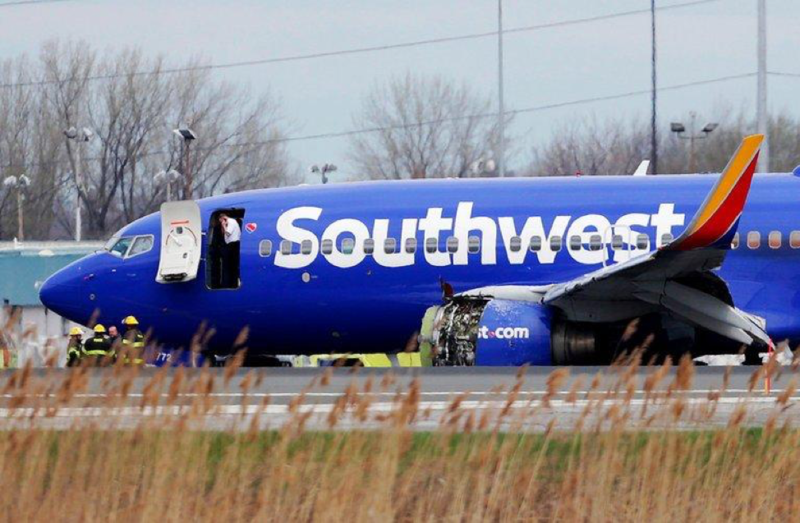 Southwest experienced a surge in public interest after the incident. 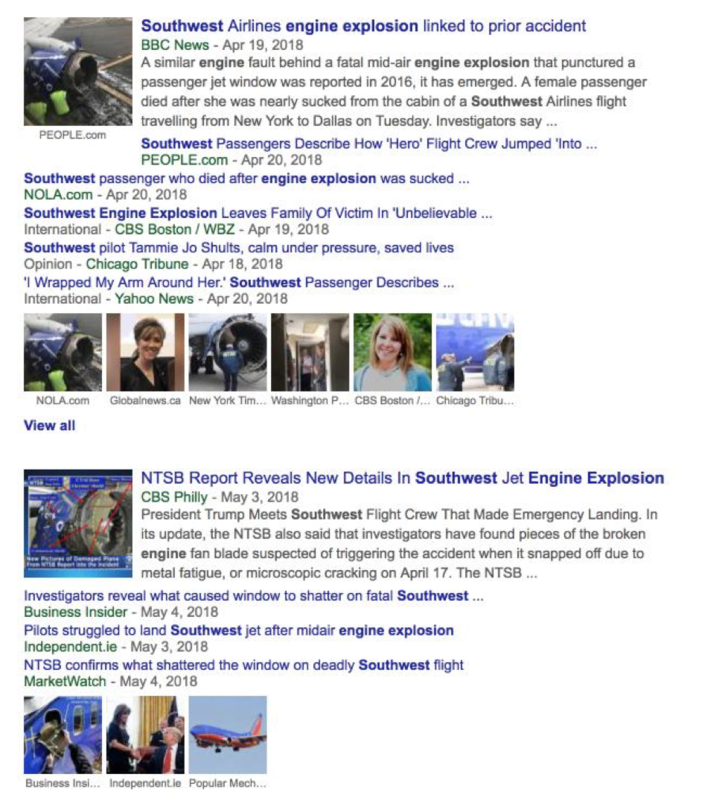 What did people see when they searched for information related to Southwest? Search results like these are obviously not beneficial to a brand. But how much control did Southwest have over the entire affair — from the metal fatigue, to the tragedy itself, to the ongoing investigation and fallout? Very little. You, as the sender, communicate your reputation through your employees, branding, messaging, web presence and all the other elements of a brand. The receiver, which is any individual in the general public, decodes this message according to the specific channel of communication. Once in the receiver’s mind, the message is layered with all the life experiences, interpretations, biases and other complex issues that affect how a person understands information. You can see how the communication of a reputation could easily go off the rails at any point in the process. Reputation is largely outside of your control. As advanced and effective as many reputation management techniques are, it’s not possible to change how people think. Therefore, reputation management focuses on what people see. Can reputation be managed? It’s clear that you cannot control what people think about you or your business. What you can adjust is what people see, which then affects how they perceive you and the reputation they form of you. So, we offer a qualified yes. Reputation can be managed, to a degree. The word “managed” conveys a greater degree of control than most reputation management practices can truly effect. Much of what reputation management attempts to do is to adjust a very small scope of reputational issues. Most of these issues are online. Negative news articles – News articles are often the first thing that people see when they Google your business’s name or peruse their news feeds. Even though people are aware that fake news exists, we still tend to believe what we read in the news. Negative online images – Celebrities and ordinary citizens alike have been the subject of leaked photos. 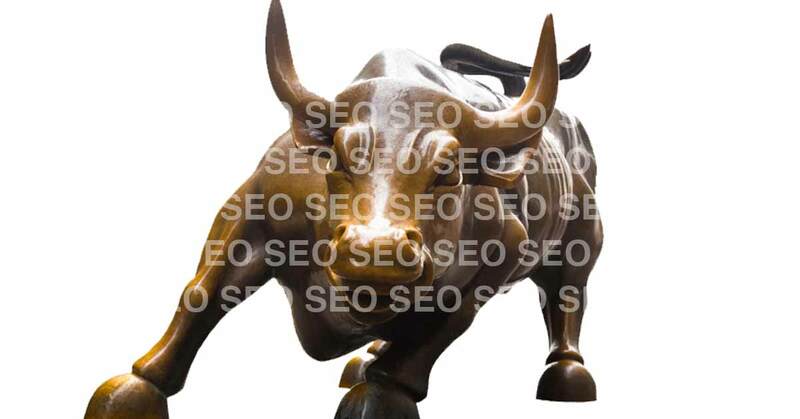 Thankfully, there are legal guidelines that stipulate when such images may be removed from search indexes. Wikipedia – Wikipedia is the cultural default for information on virtually every conceivable subject. Unfortunately, Wikipedia can be biased and unedited. Reputation management must pay close attention to this site that consistently ranks high in the search engines. Blog posts – Anyone can write anything they want about anyone they want. The result is a riot of misinformation and confusion. This is another arena in which reputation management can and does exercise substantial impact. Ripoff reports and scam sites – Like malicious blogs, some review sites are nothing more than conduits of complaint for disaffected consumers (or worse, malicious reputation destroyers). If these reports go mainstream, they can destroy brands. Review sites – Review sites like Yelp exist to help the consumer make guided choices based on what other customers have experienced. But what if a single malcontented consumer ruins an otherwise great company with a negative review? In an ideal world, the number of good reviews would counteract the outlier, but sometimes a single negative review can shutter a business for good. Social media – Social media has a shorter shelf life than anything else in this list, but it still matters. Social media is the method of choice for people recommending brands, spreading gossip, airing complaints and criticizing public figures. Search results can linger for years. A single reputation blowup will fester in the search index and in people’s minds for such a long time that the false news ossifies into gospel truth. It lingers, that is, until something changes it. And that’s where the science of reputation management comes into play. Using techniques from the field of search engine optimization, cognitive psychology, user behavior and human-computer interaction (HCI), reputation management professionals can restore equilibrium back to search results, review sites, information portals and other sources of publicly accessible information. Reputation can be managed. The scope of management is limited, since we can’t control what people think. But we can control what people see online to some extent, and that can go a long way toward preserving a positive reputation and keeping a business alive. So, what about your reputation? Reputation management is more necessary today than it has been in the history of humankind. From Twitter to news media and review sites, the spread of information is relentless. At the risk of sounding like doomsday prophets, every brand and every business today are at risk for reputation damage. Tech-savvy antagonists know how to create and distribute false information. All it takes is a single fake-but-compromising Photoshopped image on 4chan, a fake review on Google, or a spam comment on your Amazon product and you are facing a crisis that could destroy your brand. Reputation, as this article should have made clear, is largely out of your control. But there are things that you can do — both proactively and reactively — to manage your reputation.